I am using Helical Insight 3.0 version. I have connected to my database, however at the metadata level I am not able to see all the tables, it is taking really long time to load. Once the list of tables and columns gets populated then only I can select only relevant tables for metadata creation. Please help. This problem occurs due to limited memory allocation. 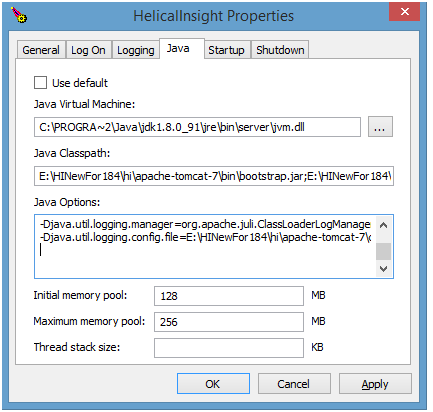 By default, when Helical Insight is installed, the memory allocated is default. 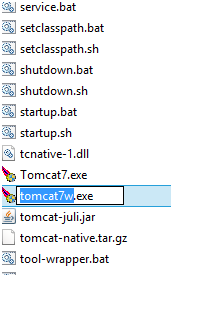 In order to improve performance and overcome this issue, we need to increase the amount of memory allocated by default for Java application running on Apache Tomcat. Within this file, you will find 3 parameters Max, Min and Max Permanent Size. These can be set as required. After renaming double click on the same file. Provide administrative password (if any) and the below Dialog box appears. Add the following lines for minimum 2 GB and Maximum 6 GB.